Experimental New Zealand artist Darcy Lange had his frst solo exhibition at Ikon in 1971, marking the beginning of an association with Birmingham that was to foster some of his most signifcant artistic breakthroughs. 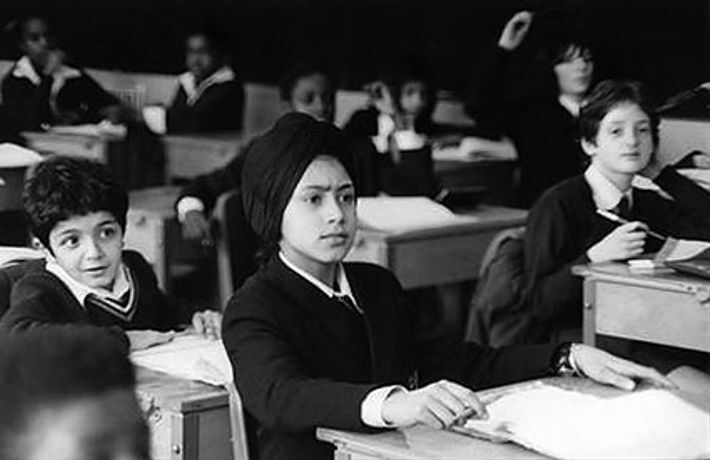 Ikon, itself housed in a former school, now revisits Lange's work by focusing on his Work Studies in Schools, 197677. Lange embarked on the school studies in 1976, supported by colleagues Phil Slight and Ron Jones, lecturers at the School of Art Education, located at the current premises of Birmingham Institute of Art and Design. With video equipment from there Lange documented three city schools  Leabank Primary (now Woodview Primary), independent boys' school King Edward's and the former Ladywood Comprehensive  each with a distinct social identity. Initially regarded by Lange as a continuation of his Work Studies, an ongoing project documenting people going about their daily working lives, the school studies soon revealed a broader analysis of the education system at this time and how it refected wider political realities. The âwork' of teaching and learning is a focus and the tapes feature a range of educational methods, from those that were quite authoritarian through to others more conversational and open. Lange's Work Studies in Schools are remarkable not only for the unique picture they offer of school life in the 1970s, but also for their critical response to the tradition of documentary flm-making. Making the most of the new technology at his disposal, Lange played the video back to his subjects, recording their responses to it. In the exhibition these subsequent videos are screened alongside his classroom footage, giving the teachers and pupils a reflective voice that complicates and enriches the artist's representation of them. For most of those involved this was their frst opportunity to see themselves on screen and as they might be seen by others  a revelatory experience. The artist's innovations were more fully realised within his subsequent studies in Oxfordshire schools (1977), comparing the teaching of art, history and science in a carefully selected combination of private and state schools. This exhibition is the most comprehensive display of Lange's Work Studies in Schools to date with digitally re-mastered footage from the artist's archive and the New Zealand Film Archive. A complete video library of all Lange's Birmingham footage is available to view in the reception of Birmingham Institute of Art and Design, School of Art, Margaret Street, throughout the exhibition, open Monday to Friday, 9am6pm.